FIFA requires all players over the age of 12, regardless of their ability or citizenship, to receive an international transfer clearance (“ITC”) from their former country when they are attempting to register to play soccer in a different country (i.e., the United States). U.S. Soccer is responsible for obtaining that ITC on behalf of all players in the U.S. participating in affiliated leagues. 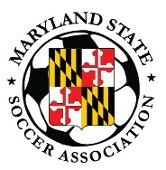 As a member of US Soccer through the US Adult Soccer Association, the Maryland State Soccer Association assists its members in processing any international transfer clearance request for all players born outside of the U.S. or for those born in the U.S. who have played abroad. The links below explains the process as set forth by US Soccer & the necessary forms to complete. MSSA will assist its players & clubs by forwarding the forms to US Soccer. Completed forms may be mailed to MSSA President Anthony Falcone at 2305 Drexel Street, Hyattsville, MD 20783 or emailed to MSSAFalcone@msn.com. Please feel free to email Tony if there are any questions.